Mostly Books bookshop in Abingdon : Half Life: The Divided Life of Bruno Pontecorvo - Physicist or Spy? Half Life: The Divided Life of Bruno Pontecorvo - Physicist or Spy? 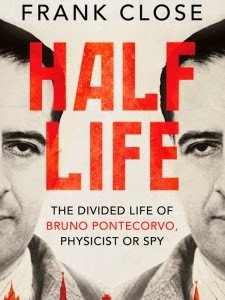 On the eve of the publication of his new book, 'Half Life: The Divided Life of Bruno Pontecorvo - Physicist or Spy? ', Professor Frank Close will reveal his discoveries about the atomic scientist Bruno Pontecorvo. Pontecorvo was an Italian physicist who worked on the British atomic bomb project at Harwell, and his son, Gil, was about to start his second year at Abingdon School. However, on August 31, 1950, in the middle of a holiday in Italy, he abruptly left Rome for Stockholm with his wife and three sons without informing friends or relatives. The next day he was helped by Soviet agents to enter the Soviet Union from Finland. World-renowned scientist and writer Frank Close reveals the full story of Pontecorvo, bound up in the murky world of scientific research as the Second World War turned into The Cold War. What nuclear secrets did Pontecorvo take with him? Who was the M15 mole at the School? What role did Kim Philby play? Close has had unprecedented access to archives, letters, family members and other scientists in telling Pontecorvo’s story. Pontecorvo worked on the Anglo-Canadian arm of the Manhatten Project and was privy to many secrets. He uncovered a way to find the uranium so coveted by nuclear powers. 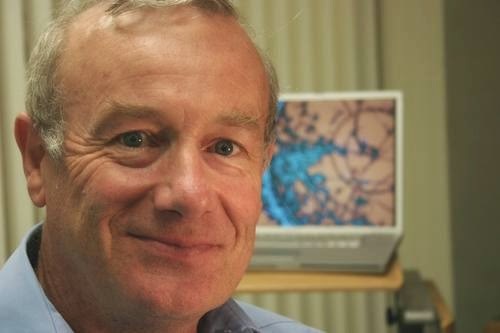 Close is professor of physics at the University of Oxford and a former head of the theoretical physics division at Rutherford Appleton Laboratory. He is author of bestselling books including Lucifer’s Legacy and Antimatter and has twice won the Association of British Science Writers award. Frank will be speaking at the Amey Theatre, Abingdon School on Wednesday, March 4 at 7pm. Copies of his book will be on sale on the night, which Frank will be delighted to sign. This is a free event, and will be unticketed, but please email us to register your interest and let us and the school know that you will be attending. Incredible story and very well told! Anthony Horowitz should do the TV version!